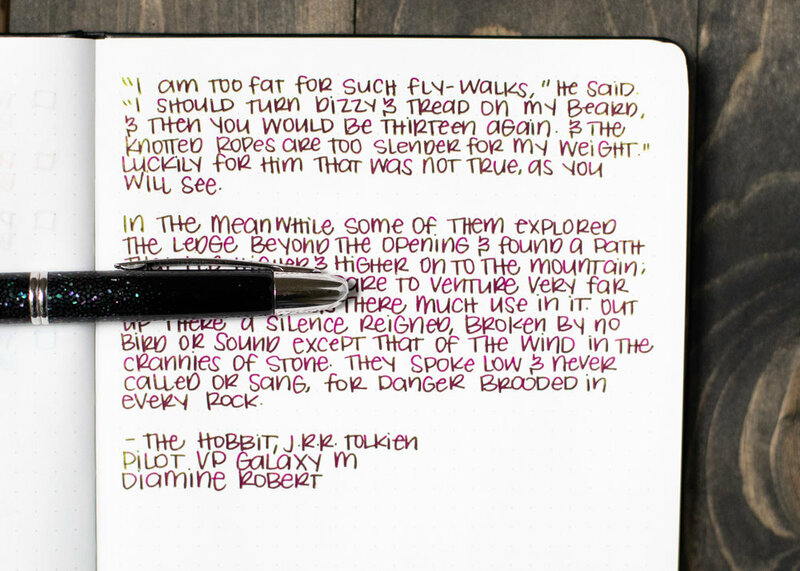 Today let’s take a look at Diamine Robert, from the “Iridescink” collection. I purchased my bottle of ink from Cult Pens. Robert is a dark purple-magenta. 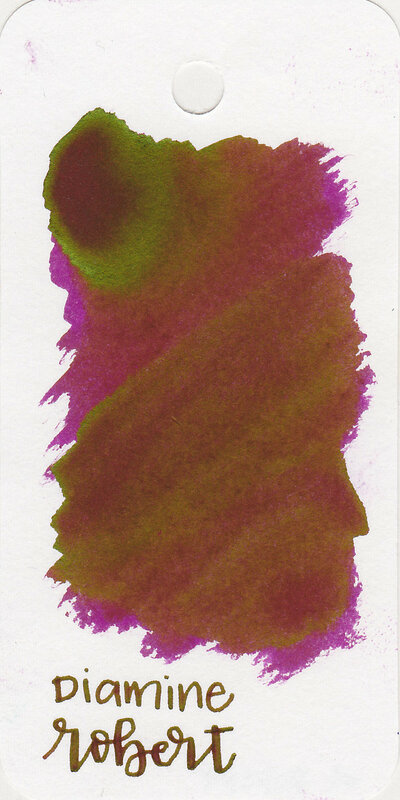 In large swabs you can see the bright green sheen. 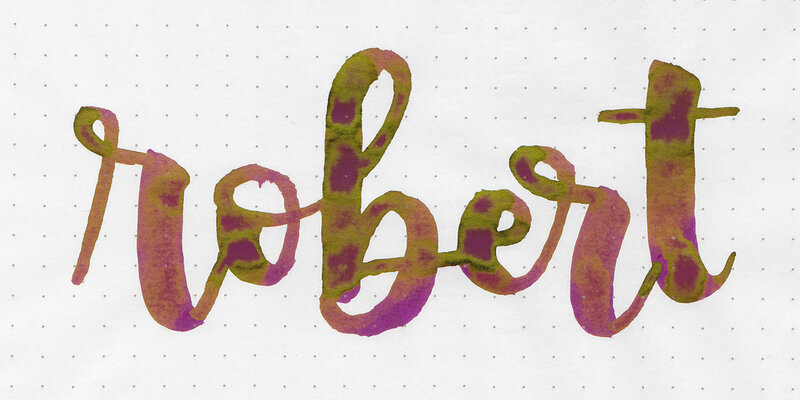 Robert is more vibrant than Bungubox Sweet Potato Purple, but not as vibrant as Pilot Iroshizuku Yama-budo. 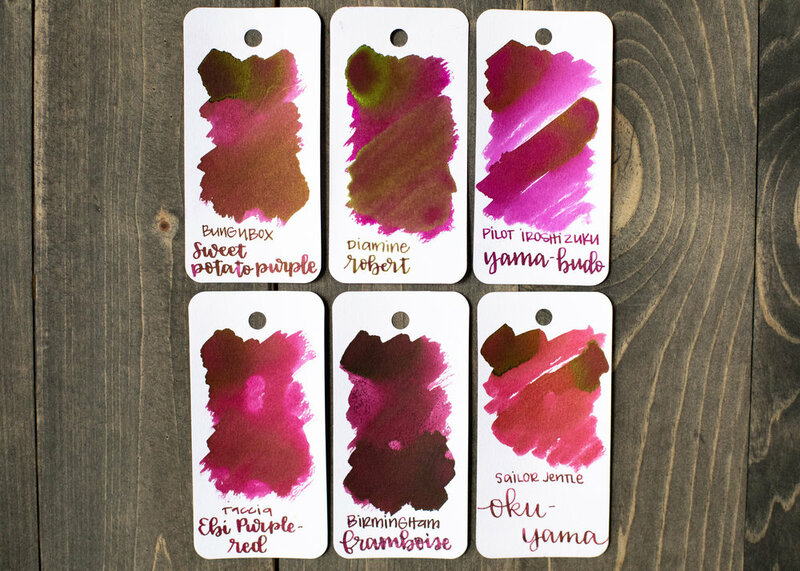 Click here to see the Diamine Inks together, and click here to see the purple inks together. I used a Pilot Vanishing Point Galaxy with a medium nib on Tomoe River paper. Similar to other monster sheening inks, the flow feels a bit sticky. When it was freshly inked it wrote great, but over the next few days it started to feel rather dry. I was not able to smear the ink after a few hours. Overall, it’s nice to see a monster sheeny ink that isn’t blue or green. I would say it’s slightly well behaved, there isn’t any feathering or bleeding and doesn’t smear, but it does take a long time to dry and the flow is a bit dry.